It’s so important for BONSAI to give special soil. BONSAI is known to a lot of people all over the world. As you know, AKADAMA-TUCHI(akadama soil) and KANUMA-PUMICE(kanuma soil) for that are also famous mineral. Then do you know where the source of them is? There is TACHIKAWA HEIWA NOUEN CO., LTD in Kanumashi, Tochigi in Japan. You can visit Nikko is close to our city, where is the world heritage. Kanuma city is well known the source of AKADAMA-TUCHI and KANUMA-PUMICE for gardening or BONSAI for a long time. And “TACHIKAWA HEIWA NOUEN CO., LTD” is a pioneer in a field of industry of the soil. Especially, AKADAMA-TUCHI and KANUMA-PUMICE are the first-class as second to none in Japan. We work a mine, dry, packing by ourselves has established since 1957. 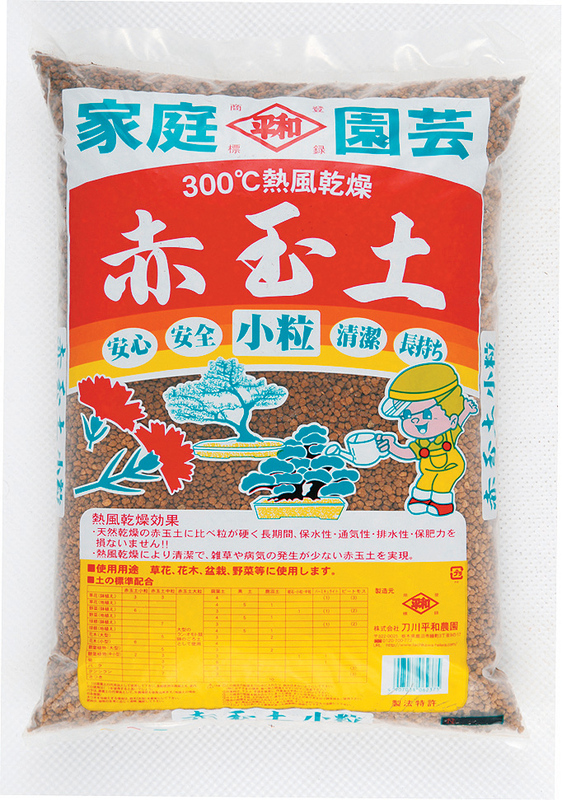 The characteristic is dried by heating about 300℃. You can see the excellent material, we are certain that you love it. The high quality mineral is like an important partner for BONSAI to grow up the root. Then, we will introduce the state of the mining “AKADAMA-TUCHI” and “KANUMA-PUMICE”. There is Kanuma city in Tochigi, it takes 100km from Tokyo. And you can visit famous places “Nikko” as the world heritage next to Kanuma. You can see a lot of beautiful forest, river and fresh air here, and there are hundreds of thousands of people. At the north of Tochigi, it is shaven off the surface. This is “BLACK SOIL”. 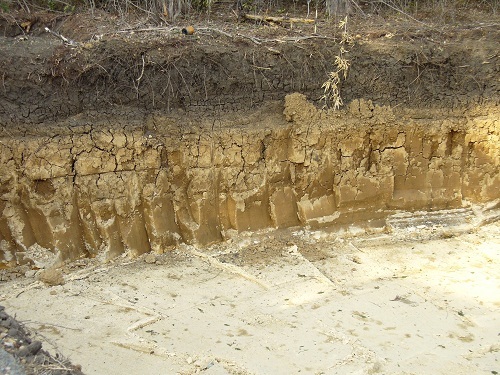 We can see the soil on the surface of the kanto loam layer. There is AKADAMA under the soil, we often use BLACK SOIL for a vegetable garden or kitchen garden in Japan. after being dug out from all, we sift from large and small one.Then, we carefully examine the mineral’s quality is good or not. We hope your garden will be wonderful by the grace of this material. The surface structure is simple. The soil on the part of black soil, AKADAMA is part of the bottom layer. This is the picture of surface structure at mine workings. The below AKADAMA is sterile and clean mineral. This is the surface of KANUMA-PUMICE.. It is good for BONSAI like SATSUKI, TSUTSUZI, and AZAREA. Actually, it is popular not only KANUMA-PUMICE but also “SATSUKI BONSAI” in Kanuma. KANUMA-PUMICE is an ejection by the Mount Akagi eruption approximately 45,000 years ago. it is made from pumice stone which is eathered. It is like a sponge, so it keeps water and air. We sell large size, middle size and small one for customer all over the world. And AKADAMA and KANUMA-PUMICE are reached many paople.all over the world through trade company. The mining of mineral , the dried in hot air 300℃　and it is packaged in our factory. It returns grasslands which like previous working day by day. We can see our original mark “HEIWA” on all of the products, which was registered trademark. It means “PEACE” in English. We hope that people in the world enjoy beautiful flowers and their life forever and ever. And we wish such a wonderful peace is to be forever.The late Koichi Tachikawa (He is the first company executive) did strongly hope so. Finally, we believe that the excellent soil can flourish and we would like to supply many people these soil 10 years, 20 years and 50 years later.We really hope to be established 100 years. 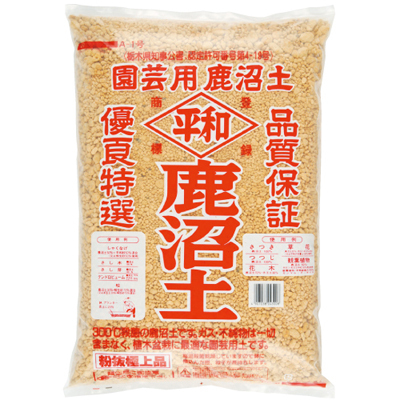 KANUMA-PUMICE 17 liter HIGH QUALITY. so we will contact you from the information.